John Aravosis of the AmericaBlog first broke this news to the English-speaking world when he provided Barilla’s remarks in their original Italian alongside an English translation. Yet another sterling example of marketing to women! At least he’s not dyeing his pasta pink. Though if he really wants to focus on the central role of women in families, maybe he should try marketing his products specifically to lesbians: statistics show the average lesbian marriage contains twice as many women as marriages of the hetero variety. 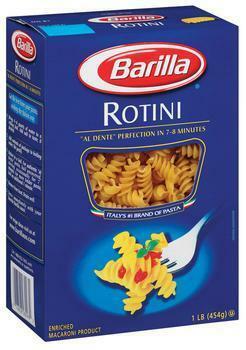 When Barilla said that gays who don’t like his attitude can always eat another brand of pasta, it apparently didn’t occur to him that “gays” aren’t the only people who might find such attitudes disturbing, anymore than “black Americans” are the only people wont to take a dim view of the Ku Klux Klan. Is Trump's campaign hurting his brand? How many Americans are gay -- 23% or 3.8%?